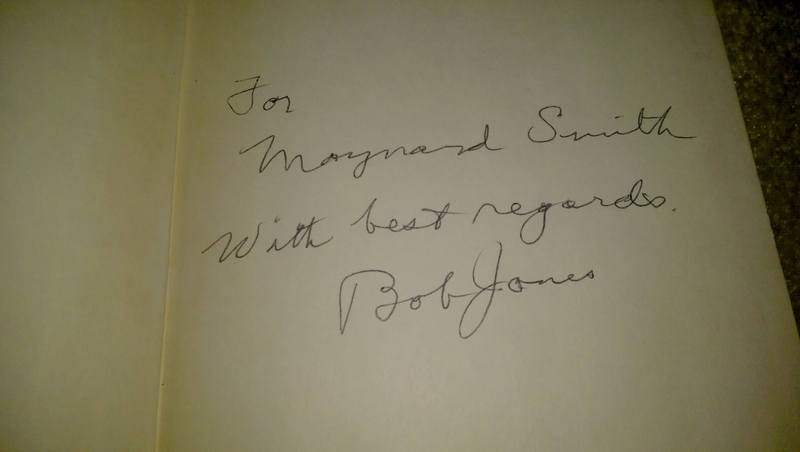 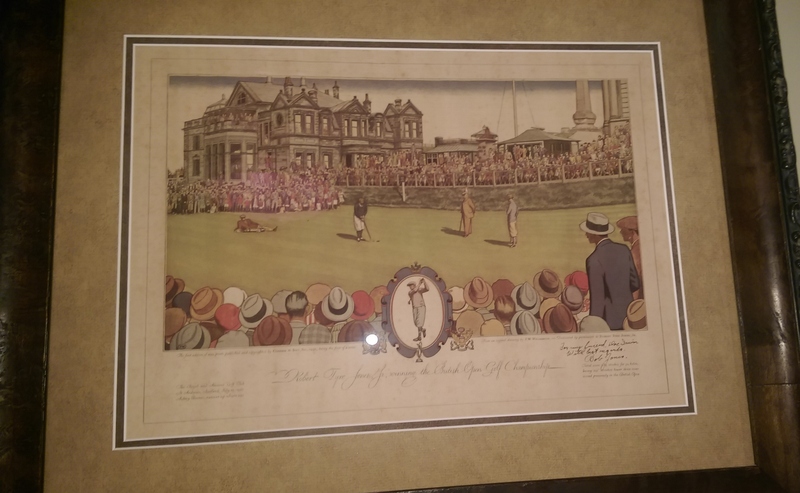 A vintage autograph of Bobby Jones signed in the 30's or 40's. 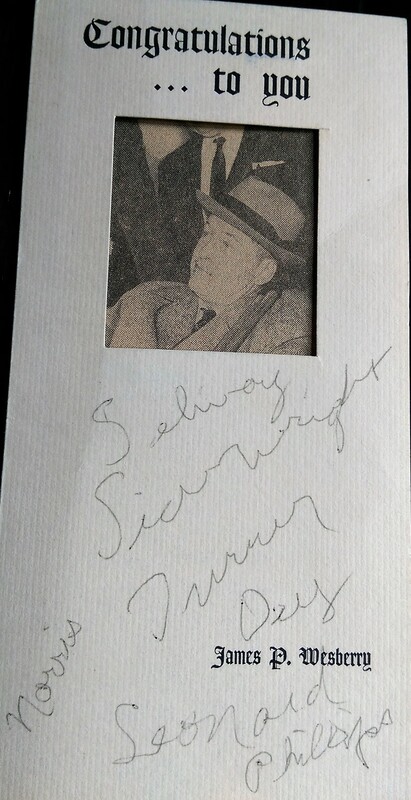 This autograph was clipped from a letter and added to a Waterman autograph collection. 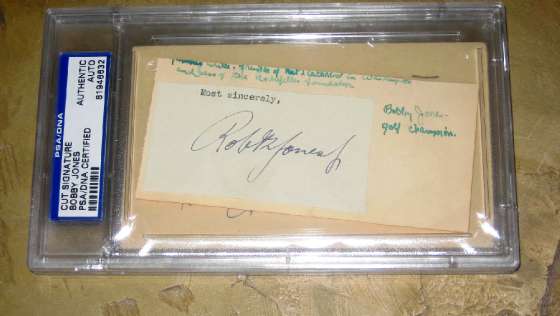 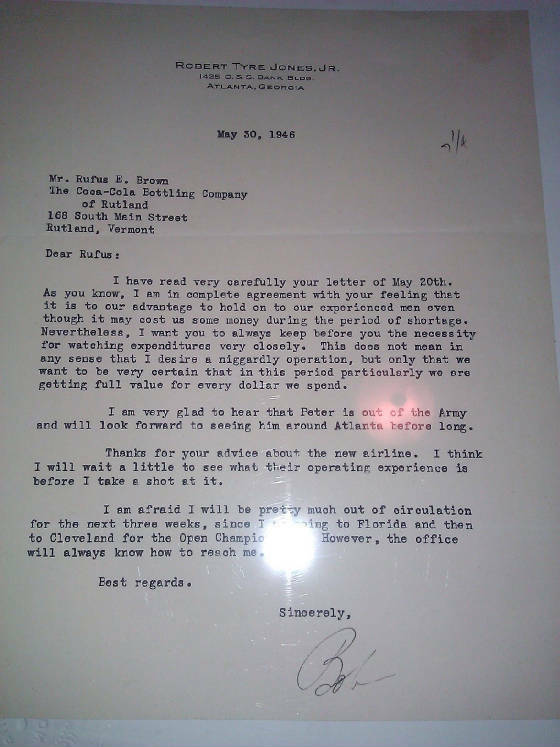 This is a Card from Bobby Jones estate. 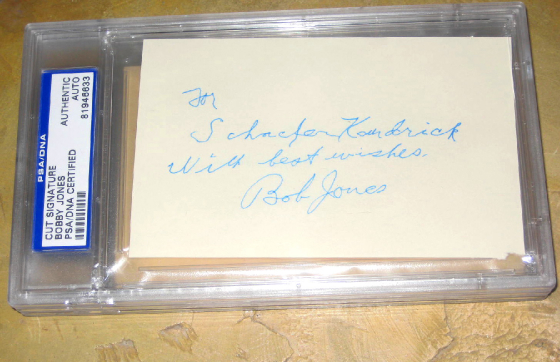 It was given to him and he wrote a few notes on the card. 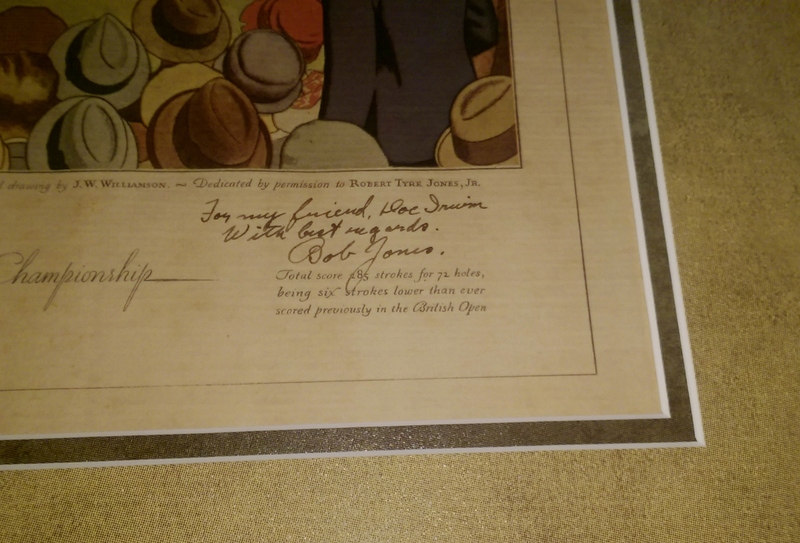 Clifford Roberts signed bookplate from his book "The Story of Augusta National Golf Club"